Looking at the weather forecast isn’t very exciting normally is it? We usually find out what the weather is going to be on the news channels or on Google Weather. But a new innovative invention reveals an amazing new weather gadget box named, the Tempescope weather forecaster. 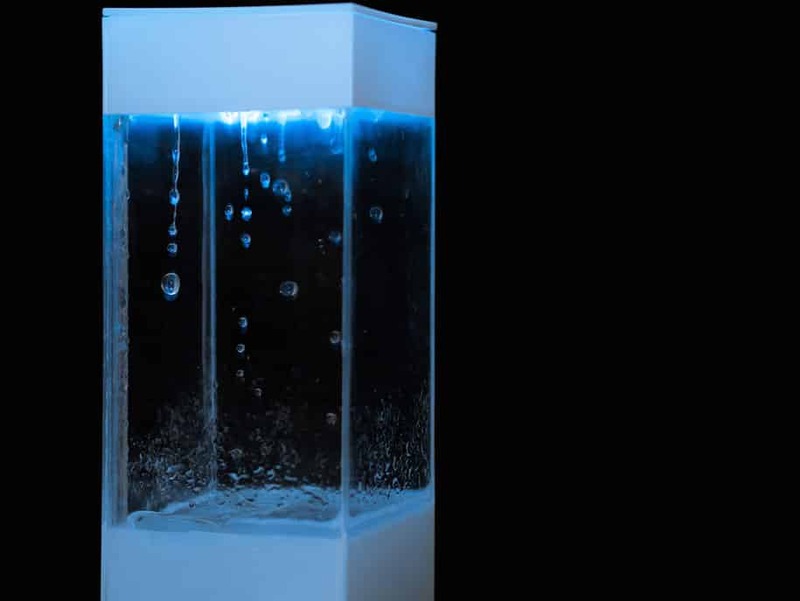 The Tempescope is an ambient physical display that visualizes various weather conditions like rain, clouds, and lightning. 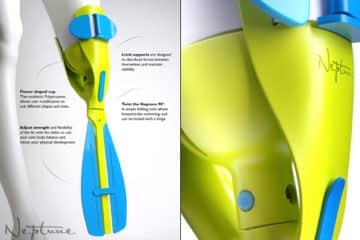 This unique weather device is based on weather forecasts drawn from weather forecast sources available from the Internet. Tempescope can elegantly reproduce tomorrow’s sky right there in your comfortable living room. 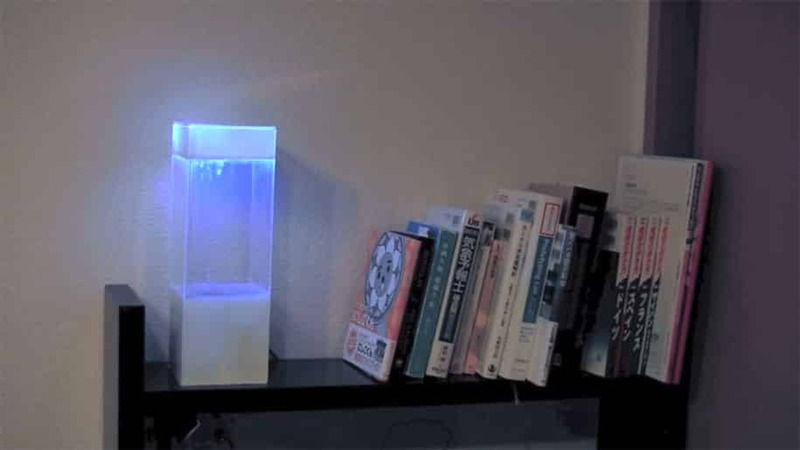 Tempescope was created byÂ Ken Kawamoto in Japan. 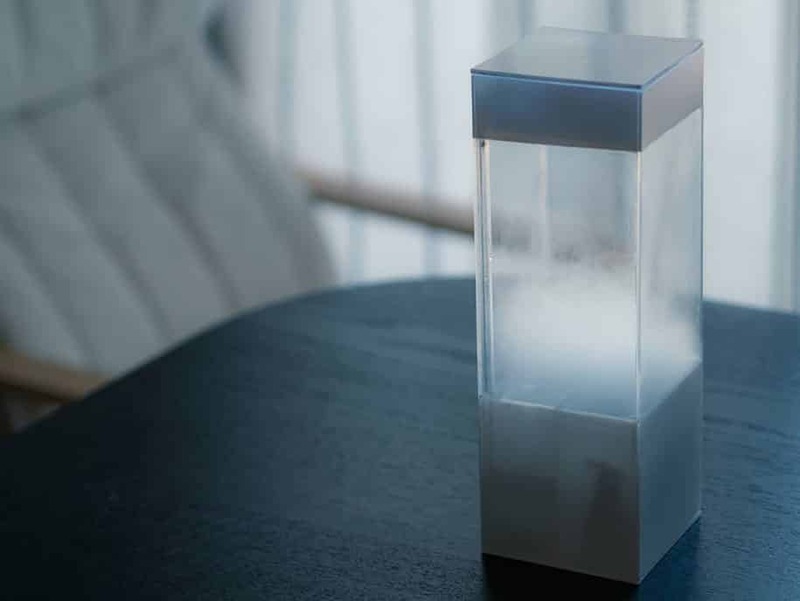 This innovative weather box sits on your living room coffee table and gives you a visual representation of what the weather will be the next day. 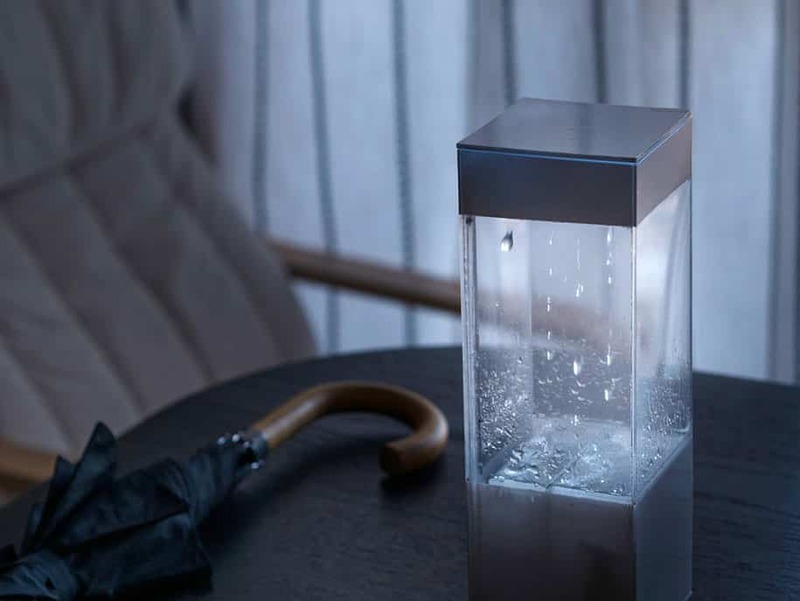 Compacted into a small transparent box, theÂ Tempescope can forecast rain, fog and clouds. In fact you can actually see these weather patterns formingÂ in the box in real time. Ken, who is a software engineer by day, created this amazing weather forecasting technology in his spare time. He loves breaking down barriers between the real world and the digital world. Itâ€™s like some sort of box that makes rain because the Internet said itâ€™s raining. 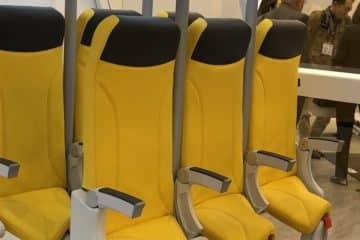 TheÂ Tempescope was unsuccessfully crowdfundedÂ a year or so ago which is a shame as this is an interesting idea formulated by an independent inventor, as opposed to being some bland corporate product. However as with any weather invention it takes more than just a good idea to bring a product to the mass market. 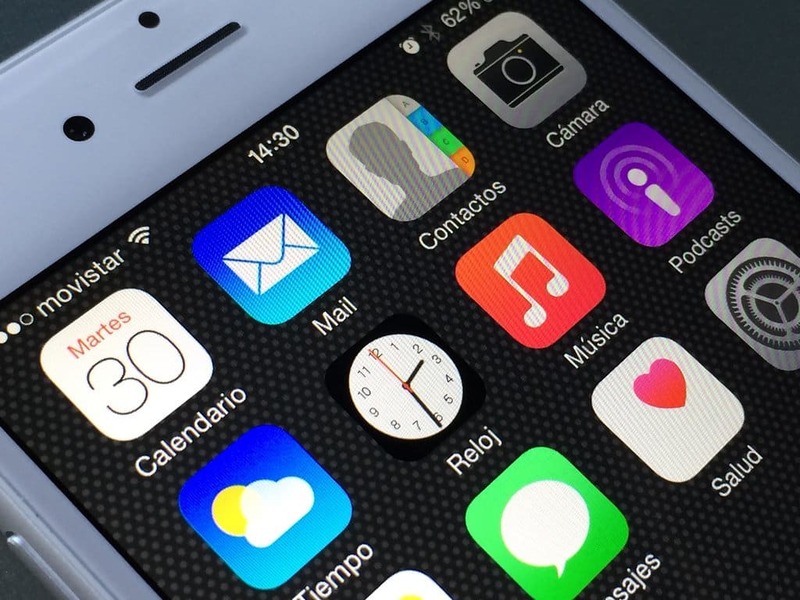 However these types of innovation often live on and thrive in niche markets. Thus theÂ Tempescope weather forecaster is still available for purchase in niche markets and by collectors of all things strange and wonderful. See the further information links below for current details on how to acquire a version of the marvellousÂ Tempescope. 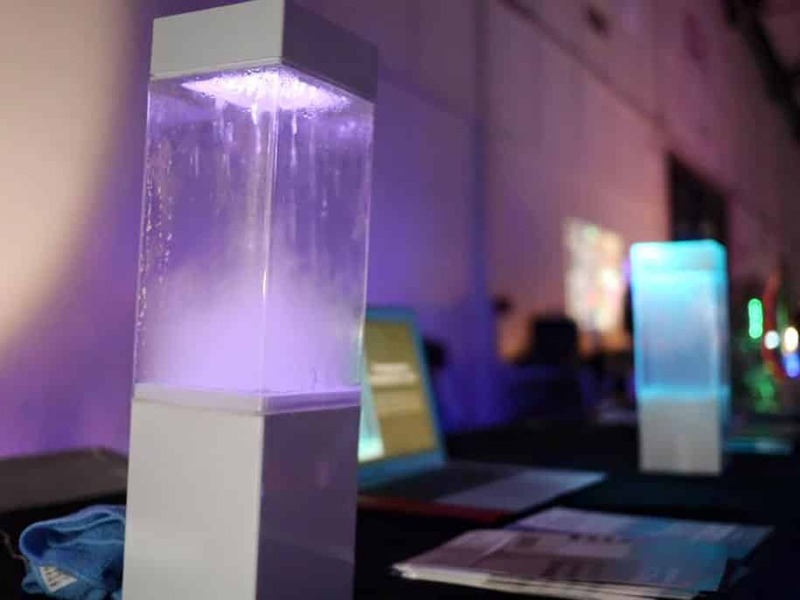 For more information on the Tempescope check their social media where you will find the latest updates and details on where to purchase their living room weather forecaster for your home. When the wild winds and driving rain come to your region, then you can be the first to know with the Tempescope weather forecaster. See for yourself in these six videos detailing this amazing weather invention in full. 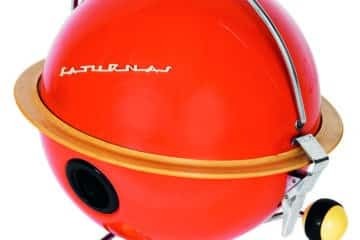 I think it is fair to say that this weather device will intrigue most gadget collectors. While the Tempescope weather forecaster may not be a mass market product due not gaining the funding it required. TheÂ Tempescope weather forecaster will life on as a collectors item in niche markets for those who enjoy owning the innovative, weird and curious.